Program management | Shift Happens! Many years ago now, in the late 1990s, I was still working at Deloitte Consulting, in the Programme Leadership team, based in the London office. As a team, we felt like we were leading the the development of Programme Management ideas in the UK, creating frameworks, tools and methodologies. It was an exciting time and clients were interested in applying the new concepts. If we authored a book while employed by Deloitte, we would not own it; Deloitte would. And so ended that project, strangled before birth, like so many good but impractical ideas. I recently got sent a book to review, that took my fancy. 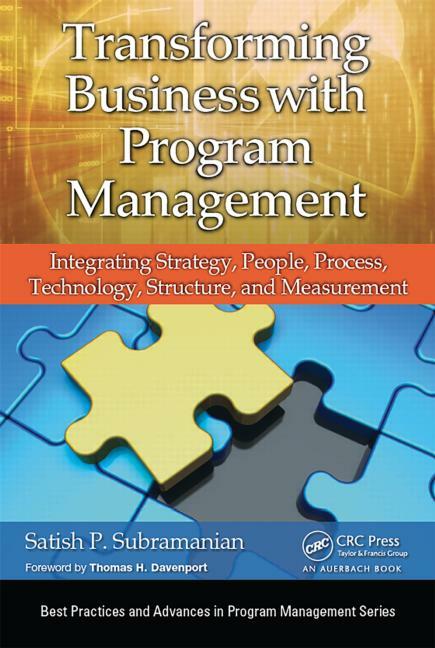 Transforming Business with Program Management, by Satish P Subramanian is a good book. Indeed, if I were to write a book on program management today, I suspect it would look a little like this one in many ways. Let me re-assure Satish and his publishers, though: I neither intend to write one, nor would I look to pinch his stuff if I did! So why do I liken this book to the one I might have written? Because it does what I like to do with many of my books: it takes a wide overview of a big subject and it packs in a lot of ideas in an easy to read and understand way. It doesn’t go deeply into its subject, but it does offer some deep insights. It has a strong and clear structure, it is well illustrated with helpful diagrams, and offers plenty of practical and pragmatic advice. 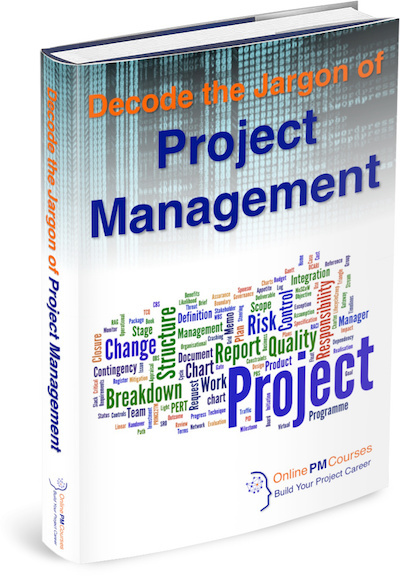 In short, it is the ideal book to introduce the ideas of program management. I’d certainly recommend it to anyone new to the discipline, or finding their way and wanting a good framework to sharpen their understanding and fill in the gaps. What I like best about Satish’s book is that it covers topics well, which I believe need more emphasis in books like this: sponsorship and governance. They each get their own chapter among 12 (ten really, as Ch 1 is an Executive Overview and Ch 12 is an Executive Summary). On the flip side, I find the section on stakeholder engagement a little thin, but then maybe that is because it is a primary subject for me. There is some good stuff on program vision, strategy and architecture, but I would like to have seen something on portfolio selection. Benefits, change and risk management all get some air-time, as do program leadership and communications. I would, however, liked to have found something on capability development for the program organisation and team. All in all though, this is an excellent book and I must also give credit to Satish’s publishers, CRC Press, who have supported him well with good quality paper and colour print diagrams that make this hardback a pleasure to handle (I don’t do eBooks). I’m now looking with some envy at heir other titles! You can buy Transforming Business with Program Management from your favourite bookseller, or through these convenient links to Amazon in the UK and Amazon.com. Transforming Business with Program Management: Integrating Strategy, People, Process, Technology, Structure, and Measurement. This entry was posted in Program management, Reading Recommendations and tagged Program Management, Programme Management, Rex Mackrill, Satish P Subramanian, Transforming Business with Program Management on 2 June, 2015 by Mike Clayton. We have all been there. By “all”, I mean any experienced Project or Programme Manager working in the real world of competing projects and territory-hungry sponsors and “C”-level executives. Let me offer a basic scenario: your Project Alpha is one of several running within your organisation and, you are pleased to say, it’s running pretty well. So what are the great rewards and honours that are coming your way as a result? Well, not so fast! Instead, when Project Zeta starts to run into problems due to bad planning, bad luck, bad leadership or some perfect storm of all three, its increasingly desperate sponsor comes knocking on your door. Not for sage advice or the wisdom you have carefully accumulated. No, what they want is your most precious resources: your people. Organisations that juggle multiple projects (and which ones don’t) all face this problem. There is a constant scramble for scarce resources with particular skills, experience or simply for those people in our organisations who just get things done. This has a corrosive effect on your ability to deliver your projects effectively but, perhaps more important, it hits hard at the organisation’s long-term ability to deliver strategic change. There are many components to a working solution to this and none is an easy or quick fix. Implementing them all in conjunction with one another, however, will have a profound effect on your organisation’s ability to deliver strategic change and therefore to stay agile, retain value and build contribution. Portfolio management and the ability to select a balanced set of programmes and projects that can be delivered within your resource constraints is the first and most strategic approach. Select your initiatives well, not only to match them to your resources, but also to create a clear case for supporting them against other, operational, pressures. No surprises here but, truly, how many project and programme managers really invest the time and energy needed to develop a robust plan, with tested estimates and prudent contingencies, for their resource requirements. I know you do, but if every PPM in your organisation did too, then there would be far fewer problems. You want a resource: you come and see the top banana. This is not about creating a bureaucracy, a power base or a roadblock. It is about recognising that if people really are your most valuable resource, then like the gold at Fort Knox (is there still gold at Fort Knox? ), it needs to have someone strong guarding access. This is about good governance and the ability for one, suitably qualified and senior, person or group to make strategic judgements that give all of the projects and programmes their due weight. Okay, so some would and we willingly, as a society, make those investments – and that’s what they are – to manage risk. So aim to have some surplus resource available at times of pinch points in major programmes or projects. Central planning of resource calls should allow this. Think of it as an investment in risk management for your portfolio, rather than as an overhead on your salary bill. One of the driving cultural norms is that senior executives are rewarded for delivering their projects or programmes to time, cost and quality. This causes parochial behaviours and the development of neo-mediaeval fiefdoms within organisations. Instead, create shared accountability across a whole portfolio. In mediaeval France, kings stopped their Counts and Barons warring with each other by calling them all up to fight wars with other states. Now, they need to negotiate with a war council for the men and machines to fight on the front to which they were directed. This worked, and it can work in modern organisations. It is not so much divide and rule as unify and lead. What other strategies are there? Please do add your own strategies in the comments. 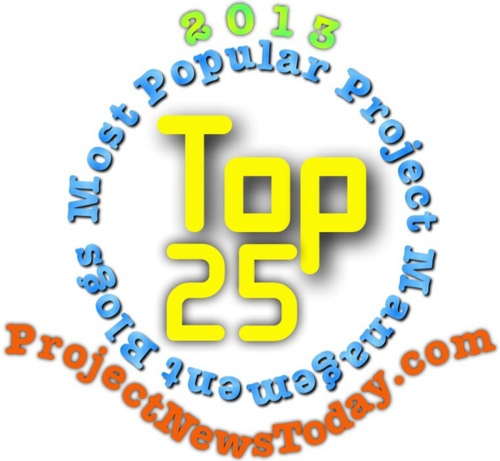 This entry was posted in Program management, project management, Project Success and tagged project, project management, project manager, Project portfolio management, Risk management on 2 May, 2012 by Mike Clayton.